I will have this reviewed. My colleagues confirmed you were not charged 15 € on our end. They are sending an email with the relevant evidence (we cannot post your info here). We'd appreciate if you could please double check with your bank to see if they charged anything on their end. It seems that my bank charged me extra fees. I will speak with them as soon as possible to clarify this issue. 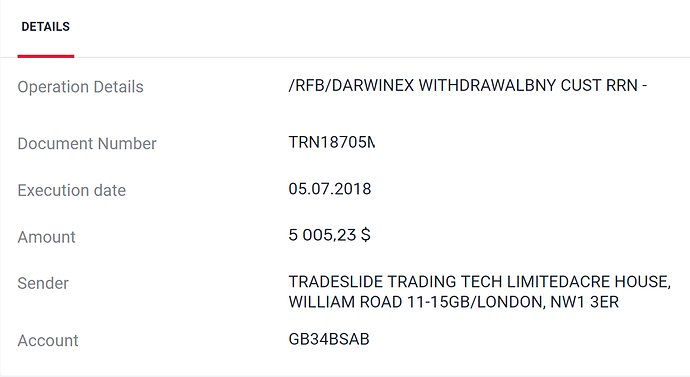 So the change to the new bank has no impact on me, maybe a little faster the withdrawal. In any case, we will keep working to meet everyone's needs in terms of deposits and withdrawals. My question are mostly for non european customers, for example Russian and Australian customers . 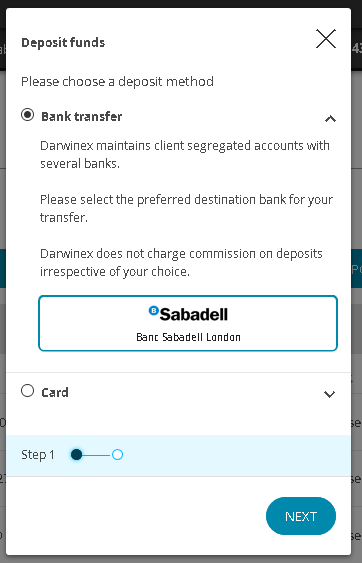 What are the fees and execution times now with Sabadell? It seems to me, "normal." Of course, Barclays is better (18-19 USD and 3-24 hours). But the current conditions are tolerable. These conditions do not correspond to the "high-level broker", which we consider Darwin. But, I hope, the Darwins will someday be able to make conditions like those of first-class brokers. But, I repeat, the current conditions are "normal". 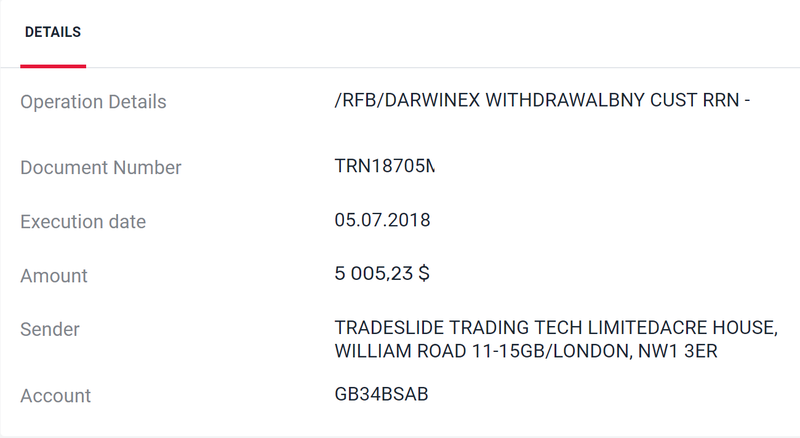 On screenshots, my withdrawal in July. Bank of the recipient in Russia "ROSBANK" (99% "daughter" Societe Generale). I think this should solve the remaining issues.